Teens and Money: Should I Make My Teenager Save Money? About a month ago, my son informed me that he wanted to cancel his automatic savings transfer the Monday after each paycheck. At the time, he had run out of spending money and felt like he should be able to keep a larger portion of his paychecks for day to day use. I thought we had come to an agreement that he just needed to manage his money better, and that the automatic transfer would remain as it was. Then I noticed that with his last paycheck, the amount transferred was $50 less than the original agreed upon amount. I was hesitant to initiate a discussion regarding the decreased transfer amount. After all, he’s the one that sacrifices sleeping in on the weekend, as well as some weekday nights to earn money, and he did still save a significant portion of his paycheck. But at the same time as a parent I want to take advantage of every opportunity to teach him about how to manage his finances. He’s already learned several important lessons, and one that I want to emphasize is the importance of prioritizing saving over spending. Additionally, it felt like he had ignored our last discussion on the topic. I knocked on his bedroom door and proceeded with caution. His paycheck is the fruits of his labor. I have a hard time being too stringent on telling him exactly how much he has to save. That being said, he does need to save something out of each paycheck. It’s an opportunity for him to practice managing money the right way, and paying yourself first is one of the best habits to get into. 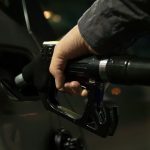 I understand that sometimes he may want to buy something that is a little more expensive, or circumstances may arise that he wants to spend a little extra. I’d rather see him continue to save the original amount and transfer money from his savings to his checking when those situations occur. If he intends to save the extra left in his checking account when the next payday comes around, he’ll rarely have anything left. You can always find something to spend money on. If you at least initially save the money, and try to stick within the means of the remaining funds, he’d find those transfers from savings should be very infrequent. I retain veto power. I want to give him as much freedom as possible, but if there’s ever a disagreement about a potential purchase, or transfer of funds, my word is final. Period. I also emphasized those occurrences would be VERY rare. Teenagers feel like they deserve freedom and respect. My approach is that my son gets that freedom until he gives me a reason to take it away. In the six months he’s had a part-time job, he’s saved a significant amount of money. I want that to continue, while allowing him to have some say in how much he saves out of each paycheck, and how much he gets to spend. So far so good, let’s hope that continues. 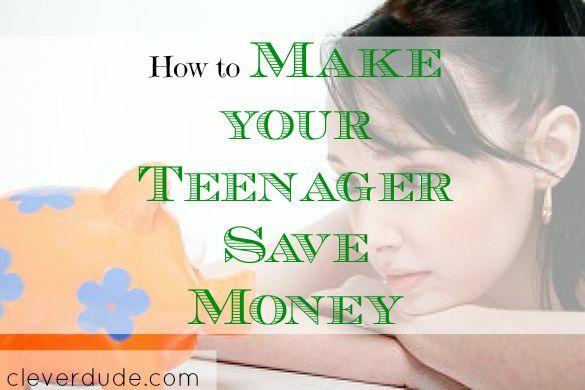 Would you FORCE your teenager to save a certain amount? How much freedom would you give them to determine how much they save, and how much they can spend? I completely agree with your parenting strategy when it comes to money management. Teens will often get a little carried away with what they want “right now” rather than what they will need later in life. I would have to say that you will be thanked later in life when your son has awesome money management skills. Great job being a parent and showing leadership. Kids need strong role models and he will appreciate this later on in life. @Jeramey – I certainly hope so….maybe I should print off the post, and your comment and tuck it away for years from now and see if it comes true!? Thanks for reading! @James – All I can do is try to give him the tools he needs to be successful and hope they stick. It sure is fun to see them take a lesson you’ve taught them, and apply it to their lives!